Each package contains 12 Sticks of Haridas Madhavdas & Sons who still uses the same formulas developed in 1860. This is very high quality incense! Over 150 years ago, the innovative maker, Haridas Madhavdas was driven to find a new method to produce the ultimate incense. This process still remains undisclosed and known only by the immediate family. However one secret has been reviled, each stick starts with a neutral aroma base of natural coconut fiber and a added bonus of pure vanilla crystals, the rest is speculation. All scents are articulated and blended from the finest quality hand-picked oils of exotic flora, pure charcoal, aromatic woods such as sandalwood, dried floral, and other fragrant gum resins. Only the very finest ingredients that are obtainable and meet the high standards are used in the formation of This incense line. Only the traditional technique of incense making commonly known as Masala is used. 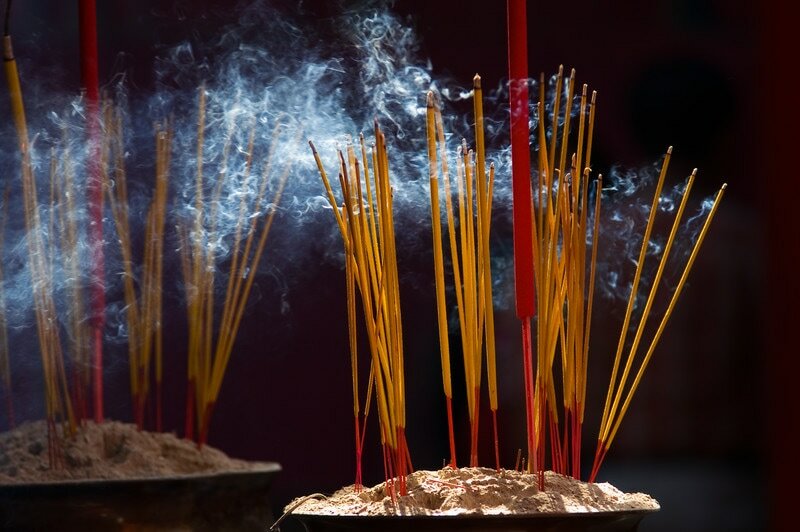 This technique allows the incense to retain its aroma for a very long period of time and also results in a slow clean burning incense stick.